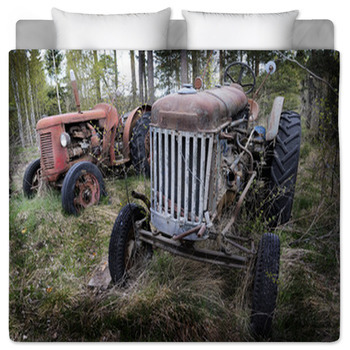 Some people might consider tractors as non glamorous vehicles and boring, but for tractor lovers or just anyone who loves farms, they understand the appeal of tractors. 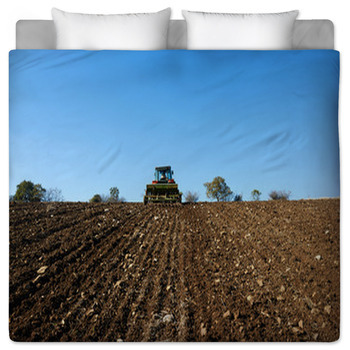 VisionBedding's tractor bedding comes in a variety of colors, and backgrounds from large commercial farms to that small family farm charm. 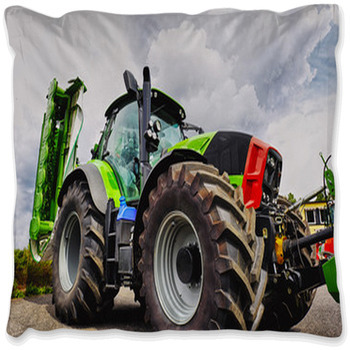 Searching our gallery of tractor designs and you will find your famous green John Deere tractors to the more historical tractors of yesterday, as well as combines and other farm equipment. 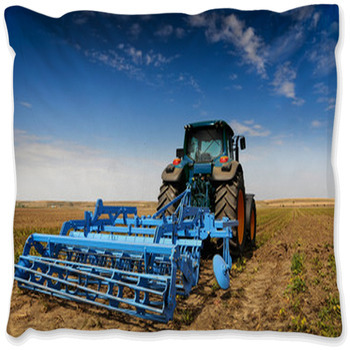 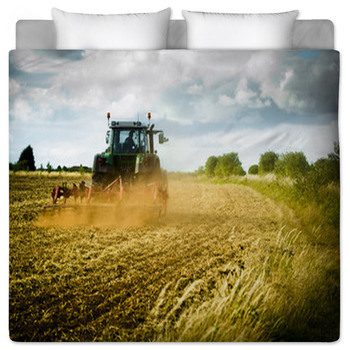 Keep searching as we have over 1,000 tractor designs for your bedding. 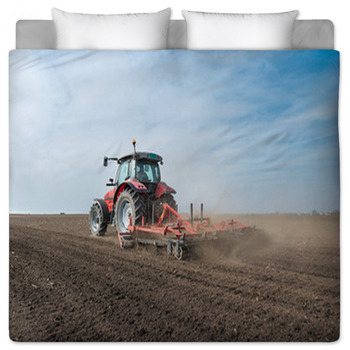 Tractor bedding comes in various colors and different model types and we have bedding with images of the latest tractors or images of the first steam tractor. 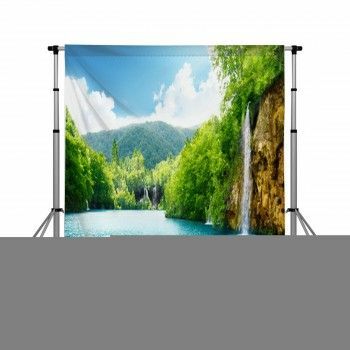 It is also possible to also get bedding with images of step by step conversions of tractors from the steam tractor to the latest tractor. 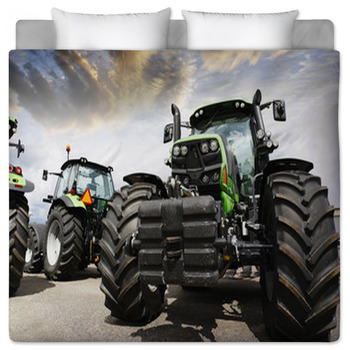 Searching our tractor gallery you will find John Deere to Case to Ford tractors. 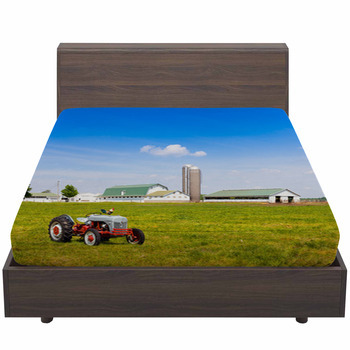 Many people are searching for a certain brand or type of tractor and be sure to search by model but do not include the word tractor always so you get a broader search result. 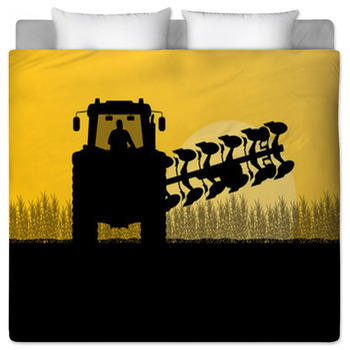 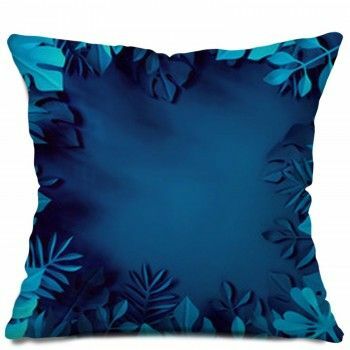 If you feel that you want unique tractor bedding with an image or collaboration of images that are not commonly available then a better option for you will be to opt for personalized bedding. 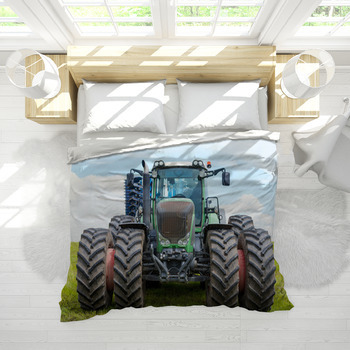 Personalized bedding allows you to choose the image and background color of the bedding along with the layout of the design and hence create personal bedding with your tractor images. 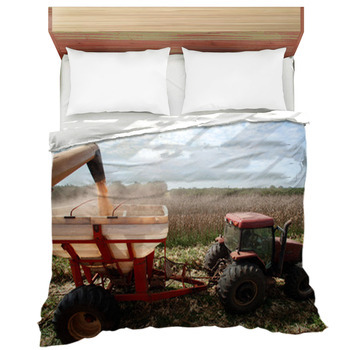 If you need to add text to the bedding such as your name, the receivers name, the year of manufacture of the tractor or the model type of the tractor that is all free of charge and highly recommended.